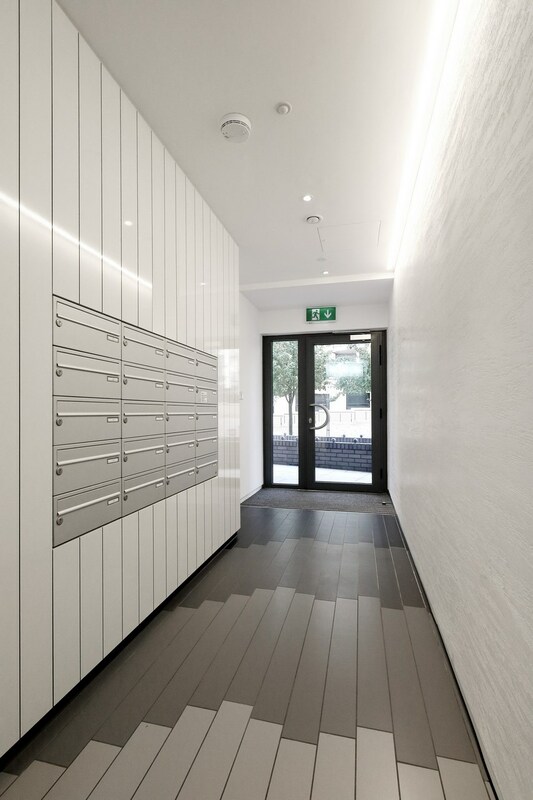 Reception area for a new block in the London Docklands. 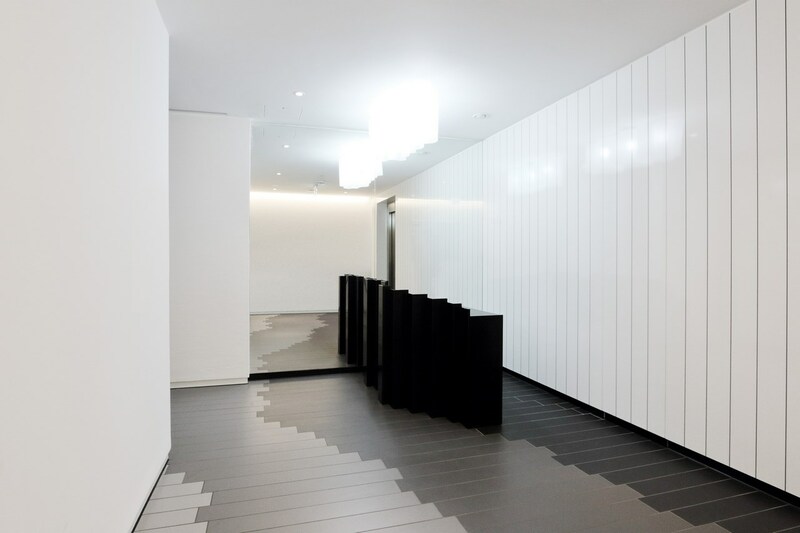 Hi-gloss panels set up a vertical rhythm within the space, while strip tiles in gradated greys create offest waves across the floor. 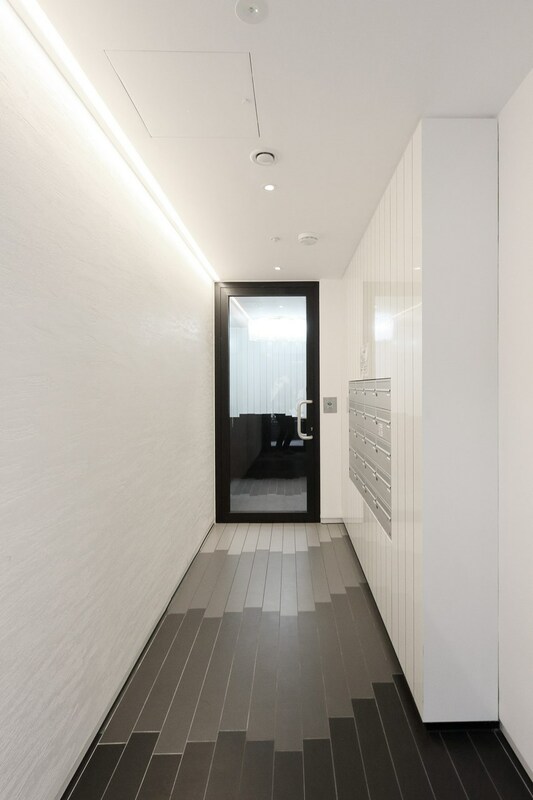 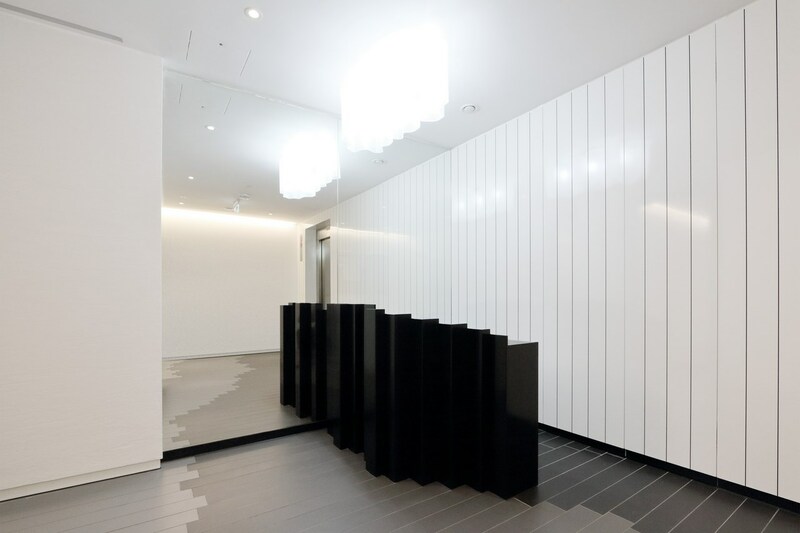 The same offsets are extruded vertically to form a reception desk in black corian, and an adjacent mirrored is wall used to duplicate the elements and increase the lobby’s perceived size. 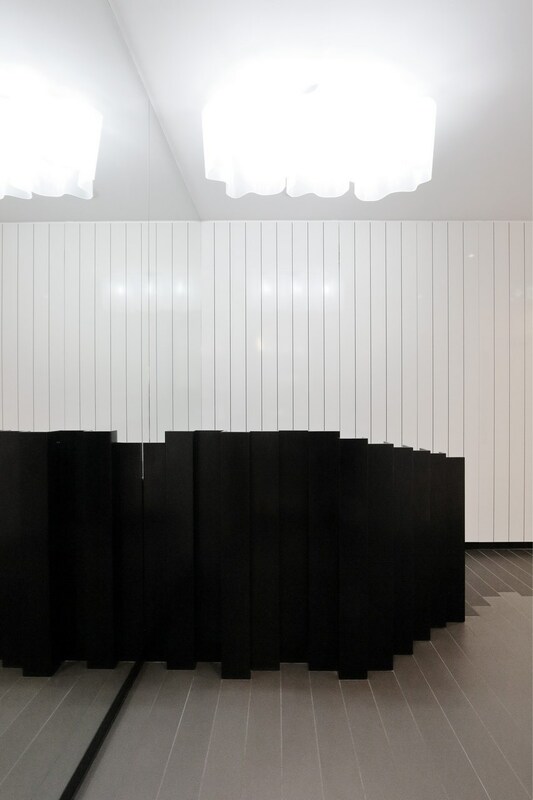 Completed 2015.